I kept my head down through the year, and, having largely given up on the press, did not spend a great deal of time on trying to secure reviews. So it came as a shock and a surprise to find that 5against4 had included TITAN in their Best of 2017 list. Begg’s response both to the crane itself and to the very specific listening context for the music is a masterclass in contemporary ambient. Carefully-judged, calm and patient, gentle and warm. 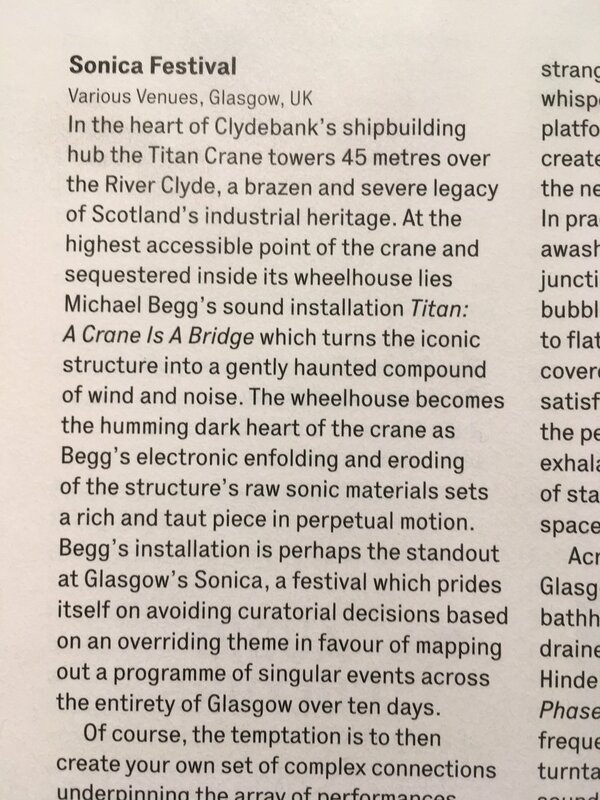 It was also a surprise to find that the UK’s The Wire magazine had cited TITAN as being “the standout” at the Sonica festival.